Comté is a new addition to the cheese drawer in my fridge. I'm not entirely sure where its been all my life but in a bid to make up for lost time I set out to make something to showcase its brilliantly nutty flavour. I hear its particularly brilliant for fondue, but I'm waiting for the Swiss Queen, Flick to show me that. Depending on where the farms milk is from, how long and where its aged, comté can have such a diverse taste. Anything from nutty, creamy or more sharp and fruity. That's what makes it so perfect to melt, grate, shave or bake. Any which way you want it! 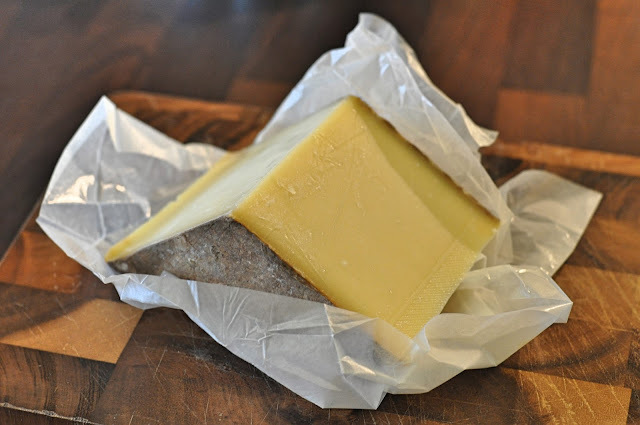 When comté sent me some samples and asked me to come up with a recipe for Mother's Day I was excited for the challenge. 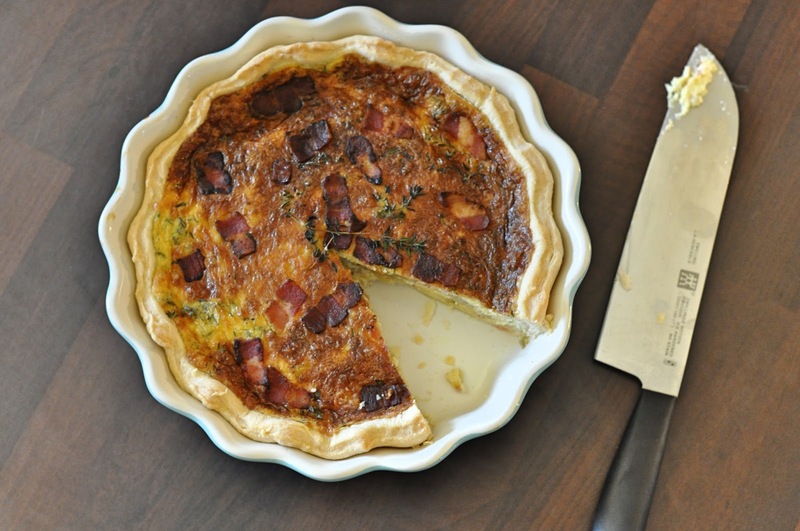 This tart balances the natural crisp bitterness of chicory with the smooth buttery comté. Packed with crispy bacon, lashings of mustard and thyme. Serve with some buttery potatoes and a crisp green salad with some Sancerre because its practically Spring now. Perfect for a weekend catchup with my Mum. Heat the oven to 180 degrees and lay the shortcrust pastry into the tart dish, using a ball of dough to gently push into the edges. Use a knife to trim any excess from the top. Chop the chicory into quarter inch slices and remove the core whilst melting the butter in a griddle pan. Cook the chicory for 5 minutes until tender. Remove from the pan. Roughly chop the bacon and cook the bacon in the same griddle pan until golden and crisp. In a bowl, whisk together the eggs, double cream, mustard, thyme, salt and nutmeg. 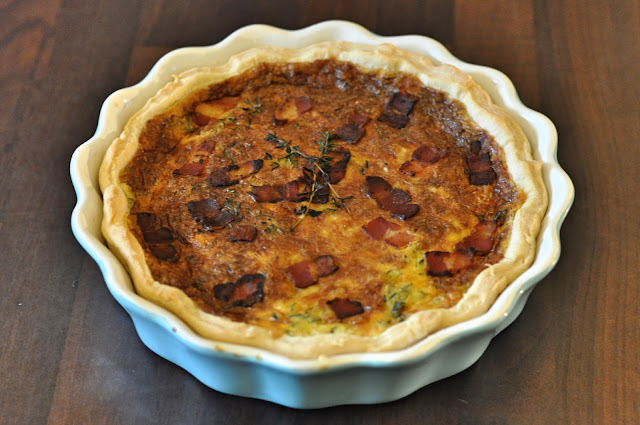 In the prepared tart dish, layer the chicory, bacon and comté before pouring over the egg mix. Bake in the centre of the oven for 45-50 minutes until the crust has turned golden. The centre of the tart will look a little wobbly but this will firm as the tart cools. Leave for 20 minutes before removing from the tart dish to serve. This post is in collaboration with Comté who sent me some samples to try as part of their #MothersDayTheComteWay campaign. This combines all of my favourite things; comte, bacon, pastry and double cream. Plus did you say butter? You did. I love you. Let's make cheesy goodies together.